50 years ago, a 70 year old Indian Swami, A.C. Bhaktivedanta Swami Prabhupada set up a makeshift temple in a small storefront in New York City’s lower east side. The movement he started, ISKCON - International Society for Krishna Consciousness, attracted George Harrison and the Beatles, besides several energetic youth. Today, ISKCON has 650 temples in six continents. It hosts the world’s largest vegetarian food relief program and feeds over 1.2 million school children daily in India. ISKCON is also the largest publisher of books on the ancient Vaishnava teachings, and has truly transformed into the ‘United Nations’ of the spiritual world. 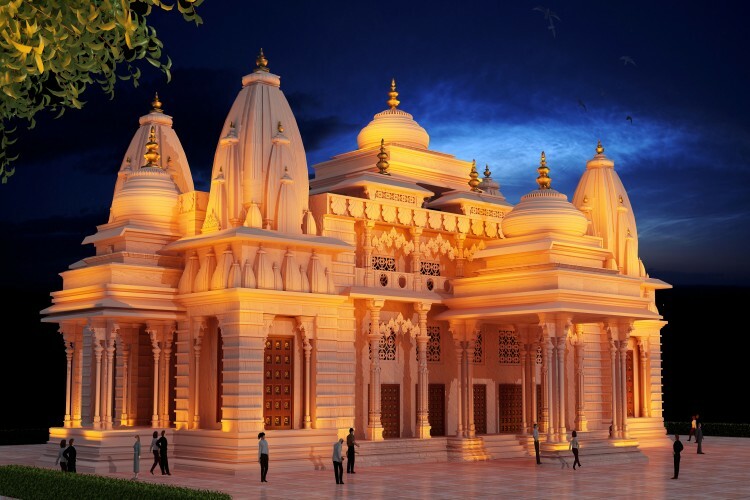 Recently, ISKCON has undertaken the construction of a glorious Krishna-Arjuna temple on a 6-acre plot of land received from the Haryana Government. This site is close to Dharma Kshetra- Kurukshetra where Lord Sri Krishna revealed the sacred Bhagavad Gita to Arjuna. The Bhagavad Gita is universally renowned as the jewel of India's spiritual wisdom. Spoken by Lord Krishna, the Supreme Personality of Godhead to His intimate disciple Arjuna, the Gita's seven hundred concise verses provide a definitive guide to the science of self realization. No other philosophical or religious work reveals, in such a lucid and profound way, the nature of consciousness, the self, the universe and the Supreme. The Krishna-Arjuna temple will be constructed on a holy spot, the place where the war between Kauravas and Pandavas took place, and the place where Lord Krishna delivered the holy Bhagavad Gita to his disciple and friend, Arjuna. Since the place holds great significance, establishing ISKCON here will help spread Krishna Consciousness all over the world. The project needs monetary help to proceed. Your donation will be used for the construction of a special spiritual monument: the Krishna-Arjuna Temple. Kindly, put in your best contribution in building this glorious temple. You can also contribute by sharing this fundraiser page with your networks on Facebook, Twitter, LinkedIn and WhatsApp. Your share could be as good as a donation for ISKCON Kurukshetra! Not everyone can afford to take care of their loved ones. ISKCON Kurukshetra's life can only be saved by donations made by kind people like you.